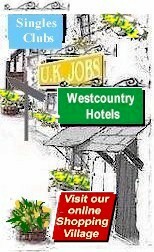 UK Houses for sale, Cottages, Farms, Holiday Homes, Land, Lodges, Property and businesses for sale. Full time residential parkhome on beautfull well kept park 2 mins from town centre shops buses health centre everthing is at hand.this is a 2 bedroom home fully decorated to very good standard inc new fitted carpets all white good inc part furnished if required gas central heating upvc double glazed. Corner plot with eaay to manage garden lovely views to forest. Pets allowed though must be well behaved, dogs on leads at all times. enclosed rear garden and driveway for two cars to the side. enclosed rear garden has side gated access with a patio leading on to an area laid to lawn. 36' x 20' 2 double bed roomed Park Home for sale, just outside the pretty village of Allington, Lincolnshire. Large kitchen, L shaped lounge-dining room, en-suite shower room to Master bedroom, walk in wardrobe, bathroom with bath. Garage, shed and gardens. Parking. Residential 2 bedroom Static Park home for Sale in Suffolk £63,000 Open to offers This newly built two bedroom detached park home stands on an established development at the end of a country lane on the fringes of Needham Market. The property offers a number of features including UPVC double glazed windows and doors, central heating, off road parking and gardens. Saxon Park is approximately three quarters of a mile from Needham Market town centre where there is a range of facilities including a bank, a post office, a butchers, a bakers, supermarket and a number of individual shops. Needham also has a health centre comprising a surgery and pharmacy, there is direct access from the town to the A14 trunk road. To the front of the property you will find an off road parking space. There are gardens either side of the property, both predominately laid to lawn and enclosed by fencing. Five bed Victorian house with two bed living accommodation, offered as well, the house has been refurbed to a high standard and is used for children that have come from care, they stay in the self contained units, you can run this business and still maintain a current job. Or you can put your own clients in. Wanting to buy some land to put a static caravan on next year. Wanted plot of land suitable for mobile home in Wiltshire or Forest of Dean with water & electricity. 2 bedroom dorma bungalow for sale, viewings highly recommended. Cottages To Rent in The U.K. Content copyright © 1998 uktradingpost ® All rights reserved.